Cranberry Party Mix. 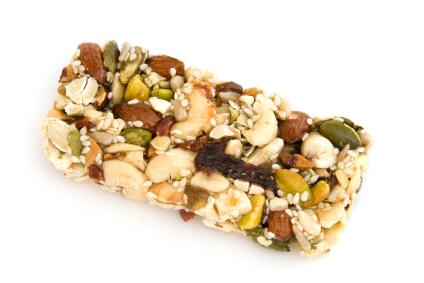 You can substitue dried cherries or dried mixed berries. Recipe Source: Holiday Entertaining - Something for Everyone! Easy to make healthy treat. Great afternoon snack with a cup of tea. Halloween Goldfish Munch is a snappy party snack or a tantalizing take-away for ghoulish guests. Kids can mix the Goldfish crackers (graham and pretzel flavors), with nuts and dried fruits while Mom melts the Spooky Green Candy for drizzling. Add favorite beverages and let the spookalicious party begin! Make this homemade version of a childhood favorite. Chex Mix has never been so easy with this microwave recipe for Honey-Nut Chex Mix. Start to Finish only 15 minutes. The combination of seasonings makes this party mix a favorite at any type of party. The best part is there is no baking. A fun snack the kids can help prepare. Featuring dried cherries, dark chocolate and toasted walnuts, these breakfast (or anytime) cookies won’t last long. Cookies that are good for you and taste great! Don't waste the seeds after cooking your pie or making jack-o-lanterns. Instead, roast and salt the seeds for a delicious and nutritious snack. Let the children slosh through the fibers in pursuit of the slippery seeds, it is so much fun. Chex Mix has never been so easy. Try this microwave recipe for Snickerdoodle Chex Mix. Best-selling cookbook author Katie Lee Joel's signature recipe. This makes for an addictive snack. Give me a beer and a bowl of Spicy Snack Crackers and I'm ready for some football. Original Chex Party Mix microwave recipe. Only 15 minutes from start to finish. Perfect for those who crave something savory, this iron-rich walnut spinach dip made with low-fat yogurt, crumbled walnuts and chopped spinach will conquer your craving. Serve with fresh cut vegetables and whole grain crackers for a filling afternoon snack. 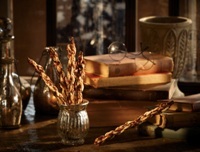 Celebrate the new Harry Potter movie with crunchy golden puff-pastry wands. With hints of crunchy walnuts, parmesan and olives, these wands taste magical and are sure to be enjoyed by sorcerers and humans alike.